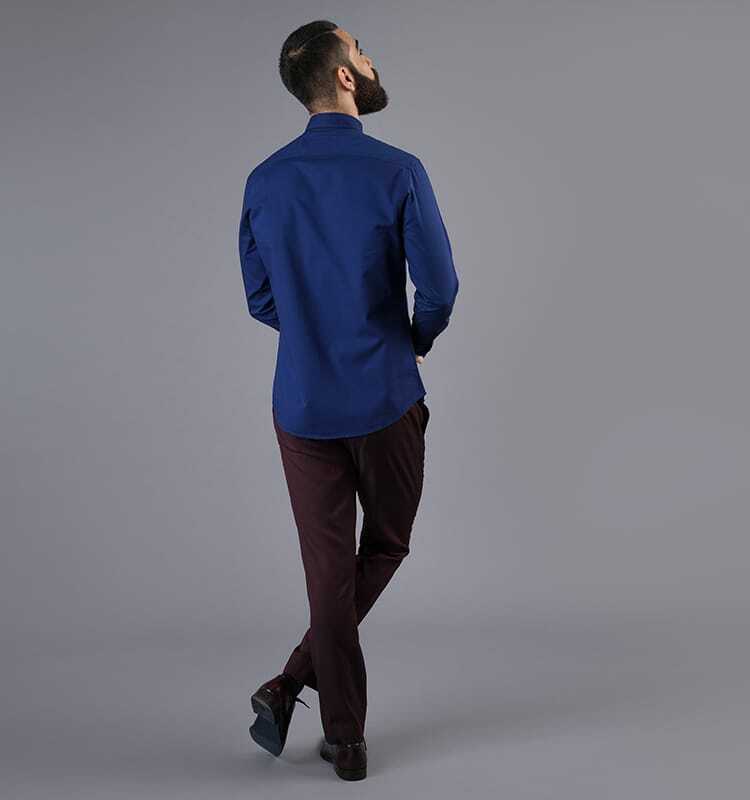 A casual evening attire done right. 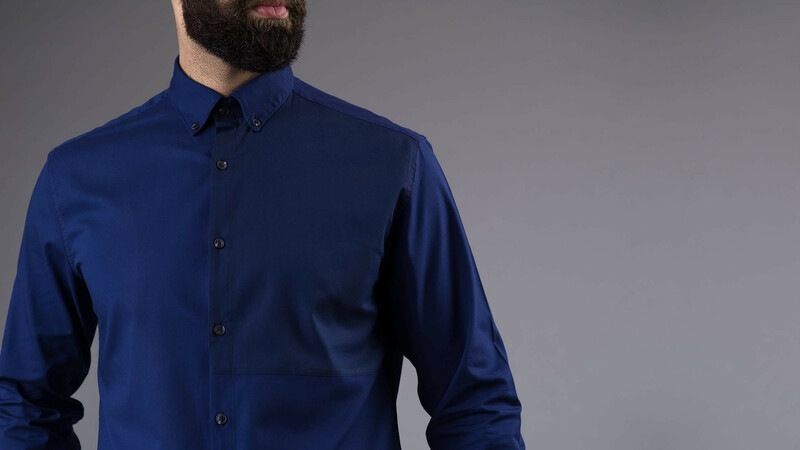 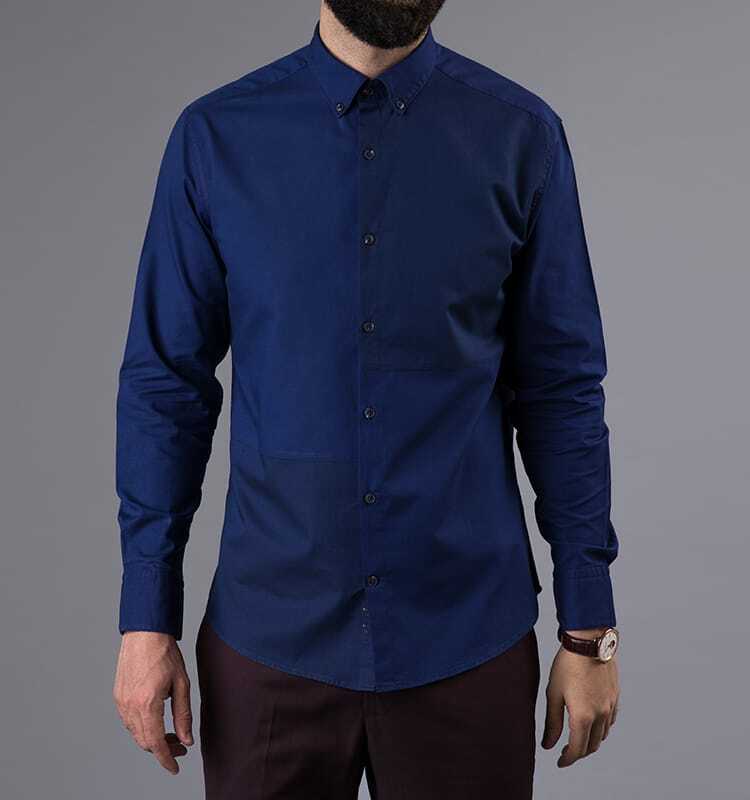 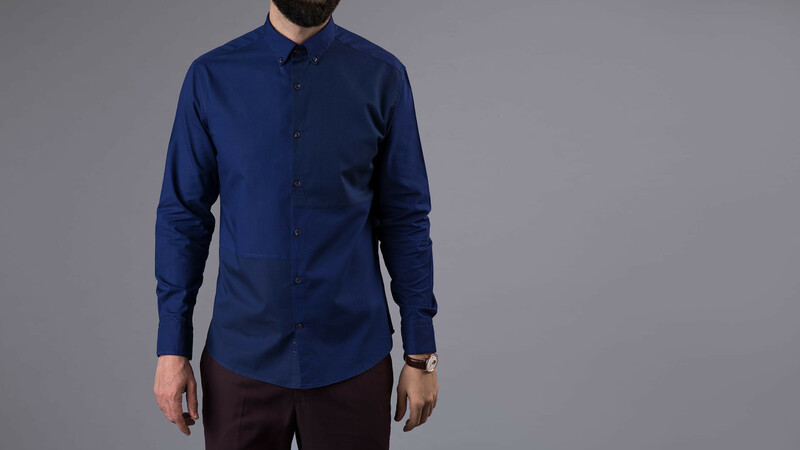 The triple colour block in navy is a contemporary, fashion forward shirt. 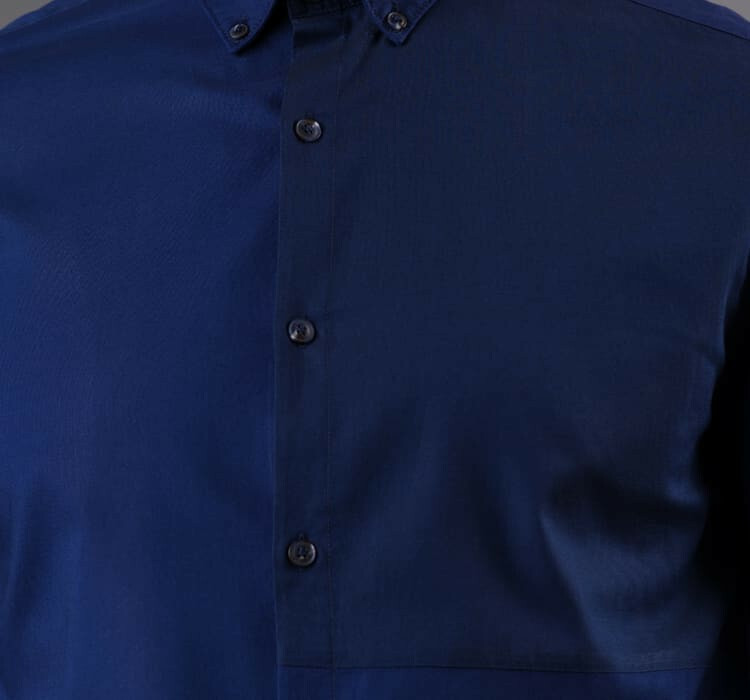 It can look almost like a solid from a distance, but at closer range it looks more interesting when you start seeing the subtle colour blocking. 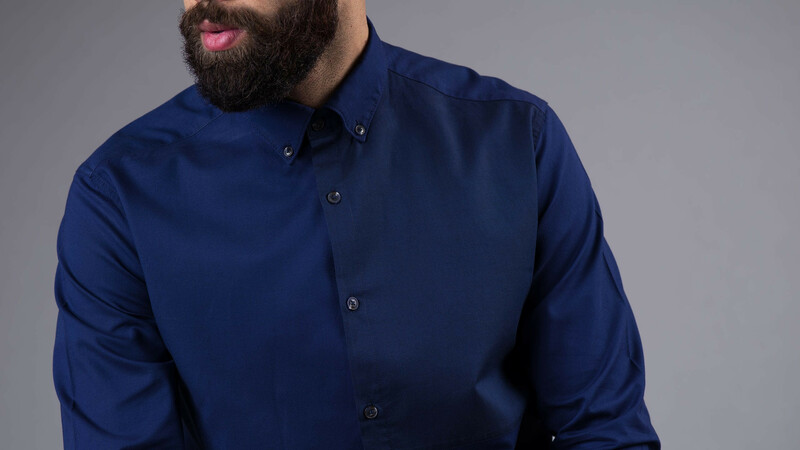 The shirt is extremely versatile - goes well with most dark coloured denims or chinos. 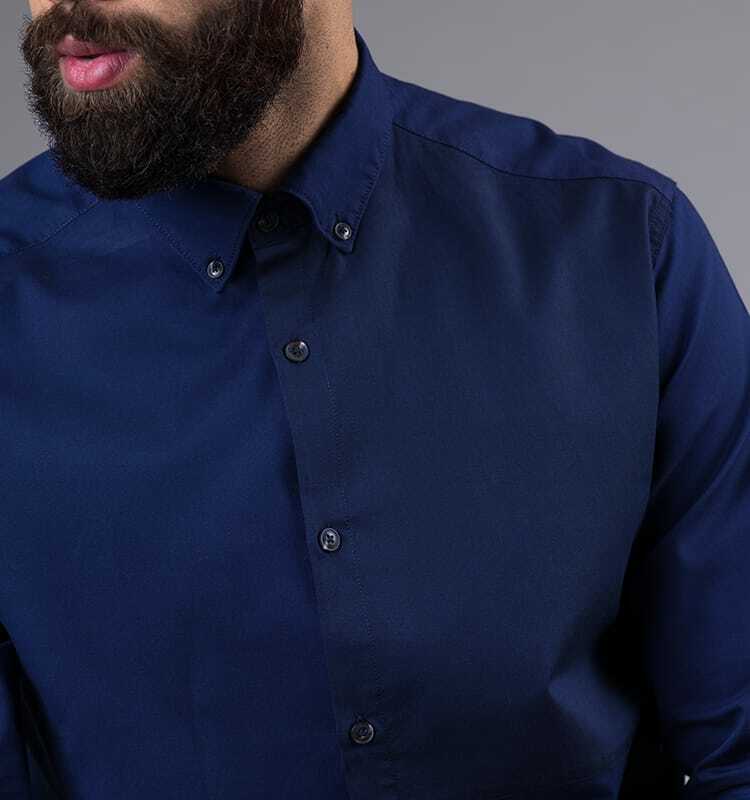 Our model is 6' 1", chest 39 and is wearing a Medium Regular fit. 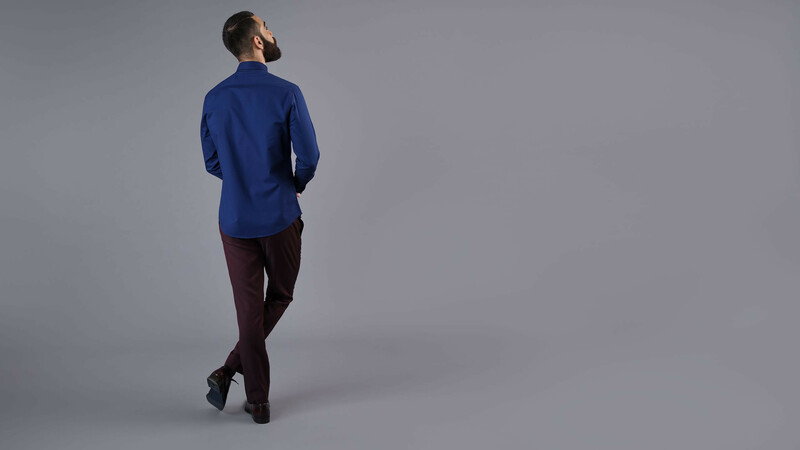 Colour blocking is one of the hottest trends in menswear right now. 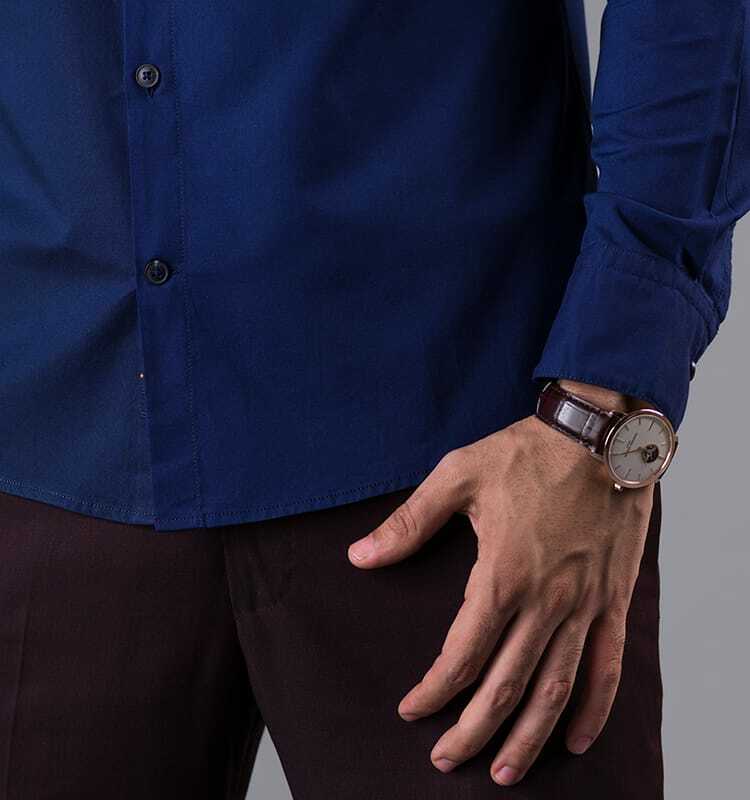 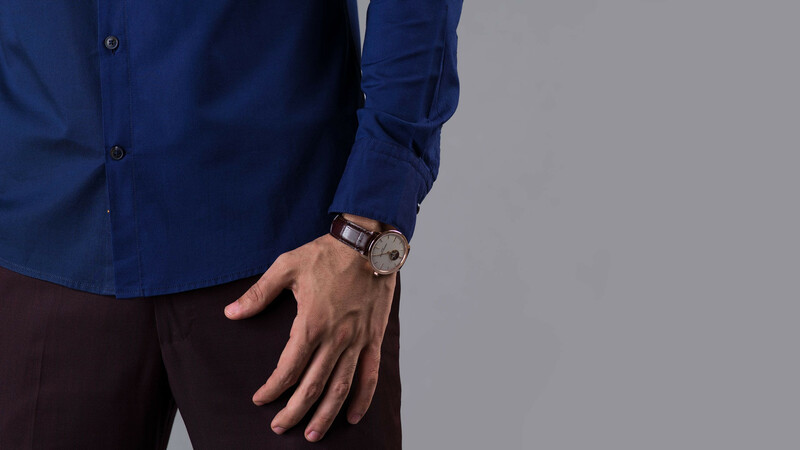 And we have given it masterful Andamen treatment with a very subtle blocking story that continues from the body to the cuffs.The dark colours and statement buttons make this shirt perfect for dressing up with dark dress pants. 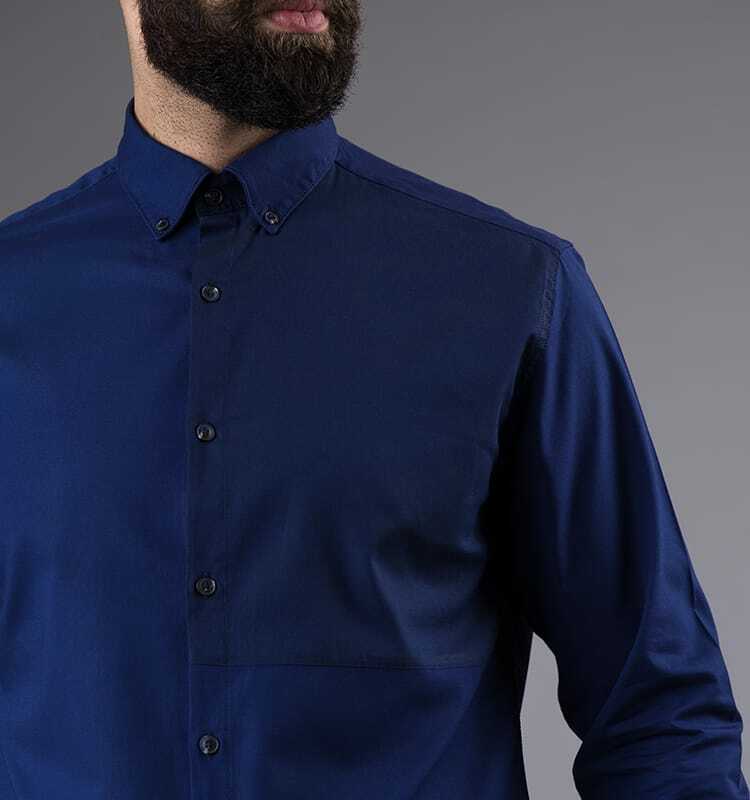 And thanks to the textural optic carefully designed on this fabric it even works with a casual jacket for smart-casual sartorial flair.